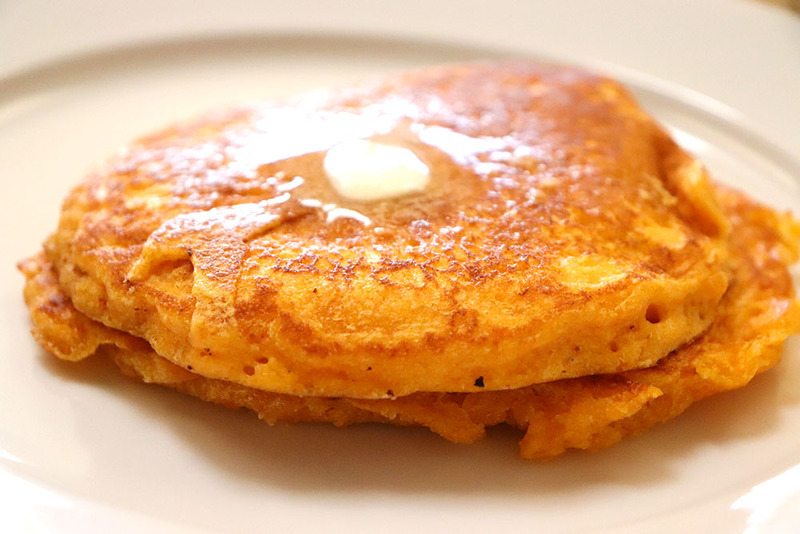 Serve up your favorite breakfast with a kick! 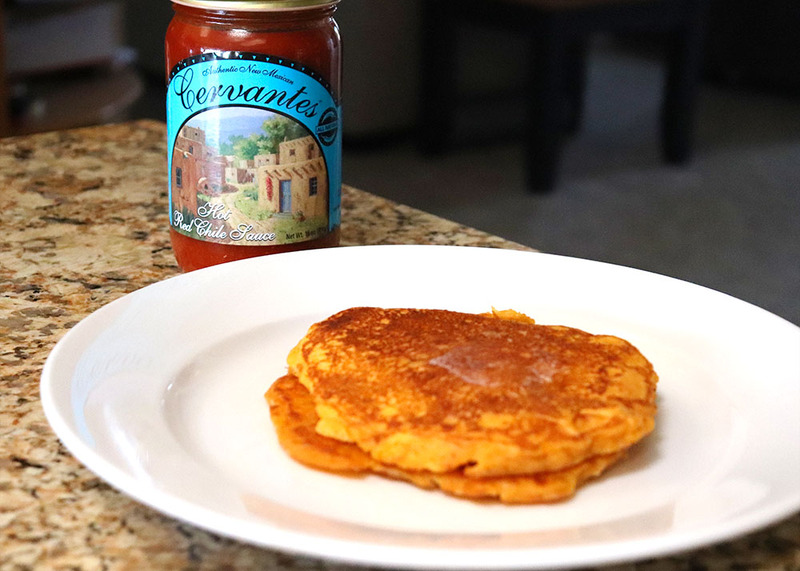 These New Mexican Pancakes are made with red chile and a flour/cornmeal batter for a unique taste! Earlier this year, my boyfriend and I went to the World’s Largest Matanza, located in Belen, New Mexico. What’s a Matanza, you ask? Strictly speaking, Matanza is the Spanish word for “slaughter” or “killing”. In New Mexico, it is used to describe a celebration involving the slaughter and cooking of an animal. Which I know sounds brutal, but it’s really just a place where a bunch of amazing cooks get together and make amazing food (see below). When we went to the Matanza in Belen, there were more than 40 cooks that setup make-shift kitchens. They were serving everything pork related. 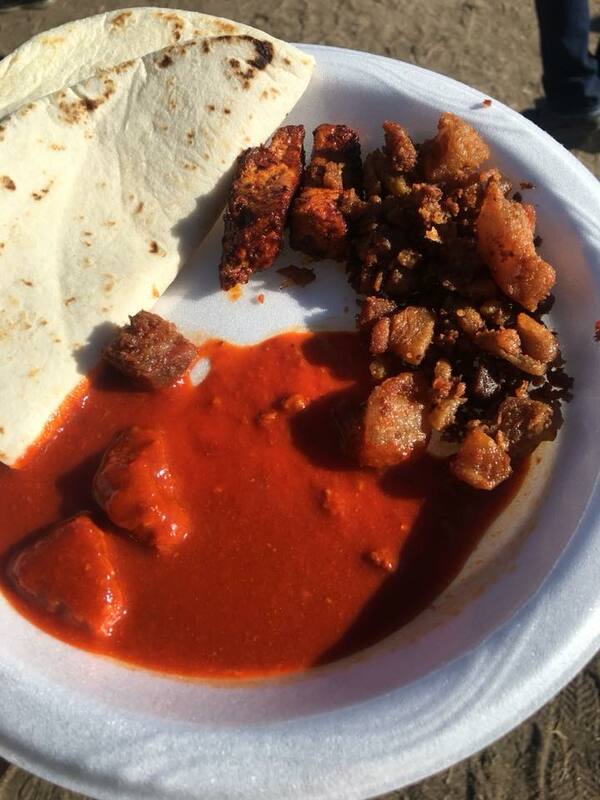 Including carnitas and chicharones. 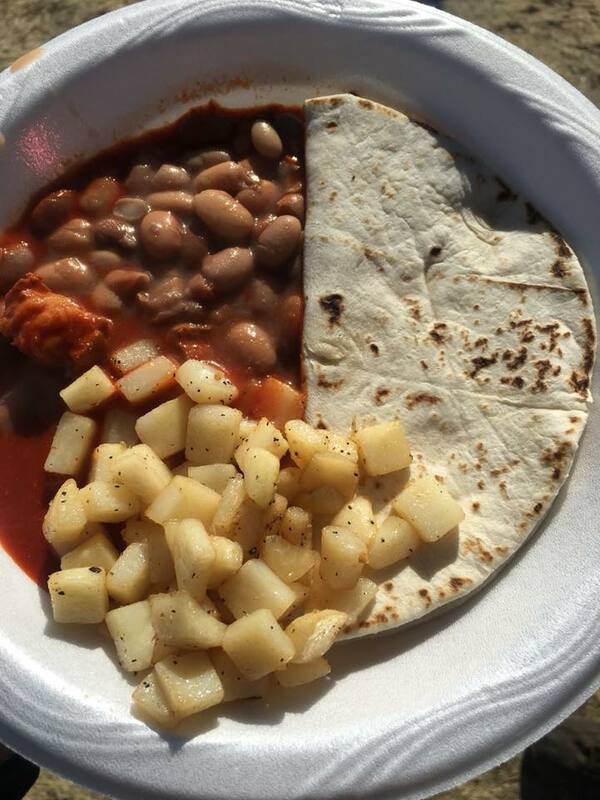 For a $20 entry fee, visitors are able to eat as much pork, beans, tortillas, potatoes, and red chile as they can. We were able to taste plates from 15 of the 40 cooks, before we couldn’t eat another bite. All of the food was SO GOOD! 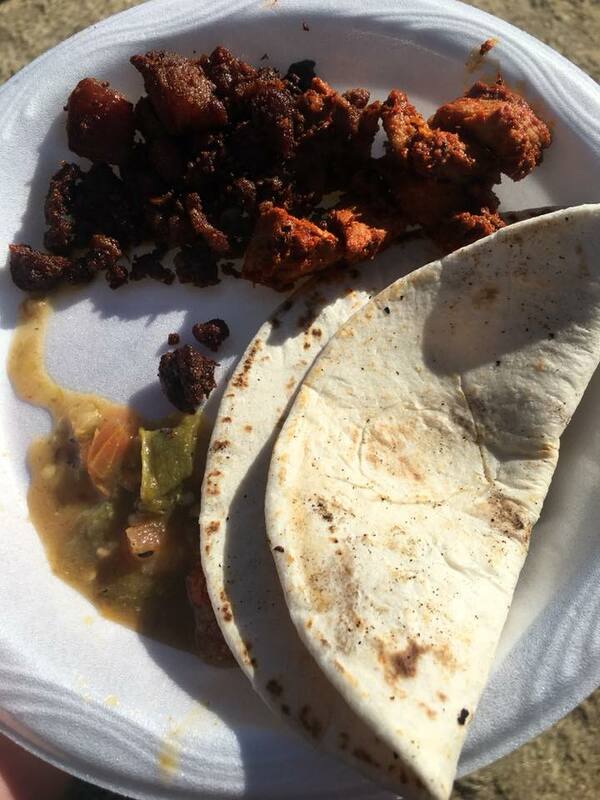 One of the cooks was serving New Mexican pancakes made with red chile. I had never seen pancakes prepared this way, but it seemed like a solid idea! 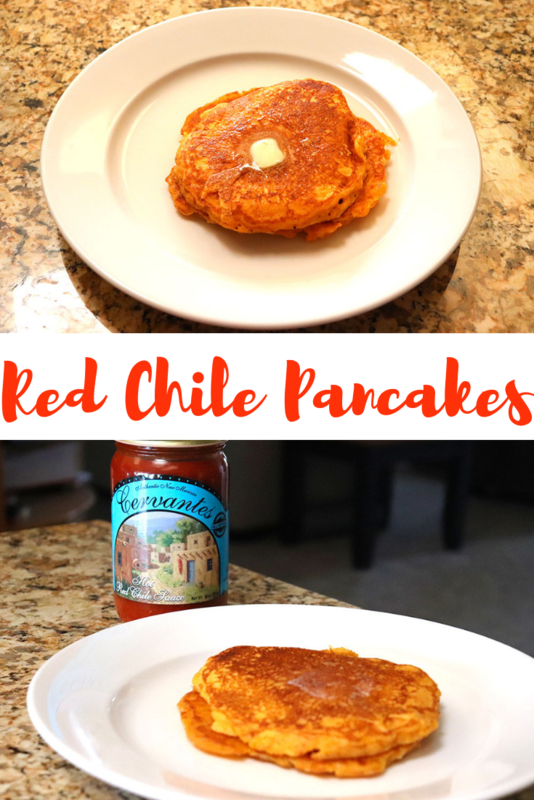 They were slightly sweet, but had a real red chile flavor to them, making them an interesting take on the breakfast staple. It’s been almost a year, but I finally got around to recreating the recipe in my own kitchen, and wanted to share it with you! 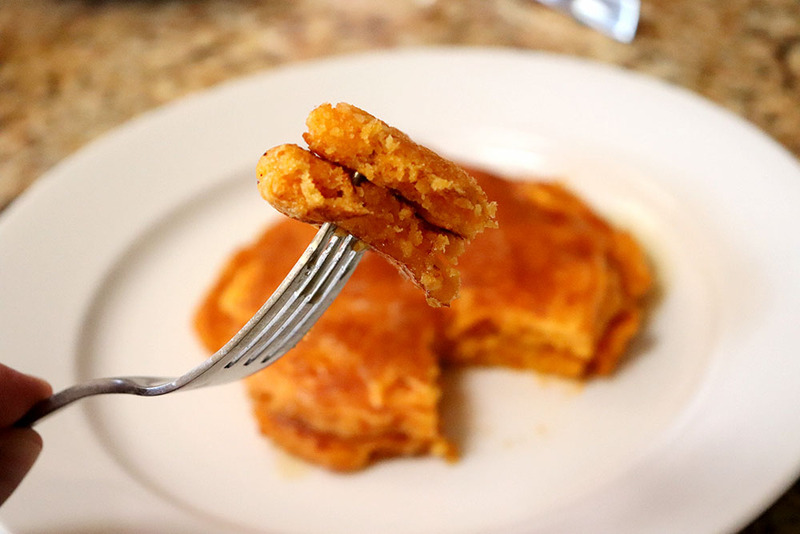 I used a classic homemade buttermilk pancake batter, adding in yellow cornmeal and 1/4 cup of red chile sauce. (Side note, I hyperlinked the sauce on Amazon so you can see what it is, but it is exorbitantly expensive when ordering there. If you can buy it locally, a 3 pack at Costco runs $10). This recipe delivered everything I wanted it to! 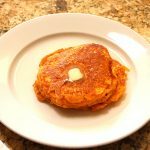 The cornmeal pancake pairs well with the red chile. It really isn’t too spicy, but you can definitely taste the flavor! 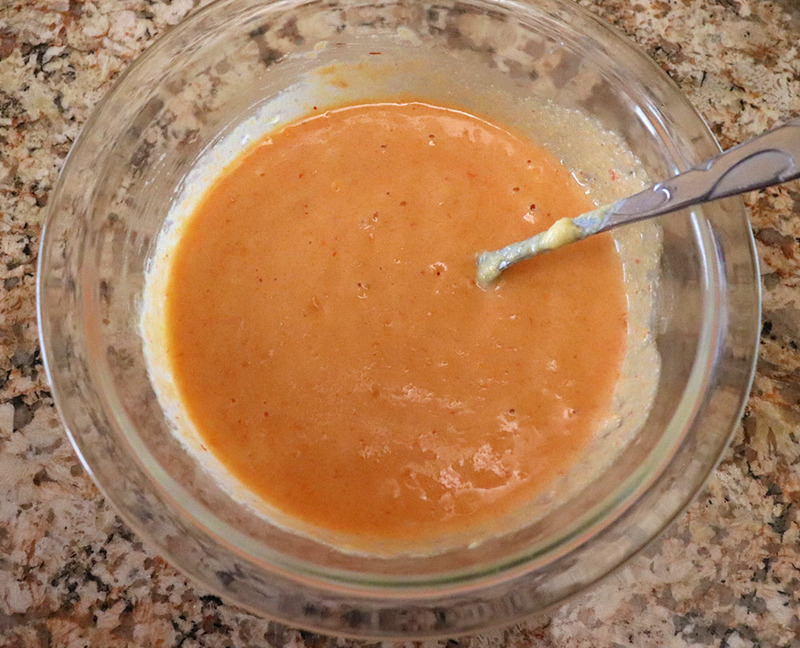 Homemade pancake batter with New Mexican red chile sauce folded in for a spicy kick! Stir together flour, cornmeal, sugar, baking powder, baking soda, and salt. In a separate bowl. 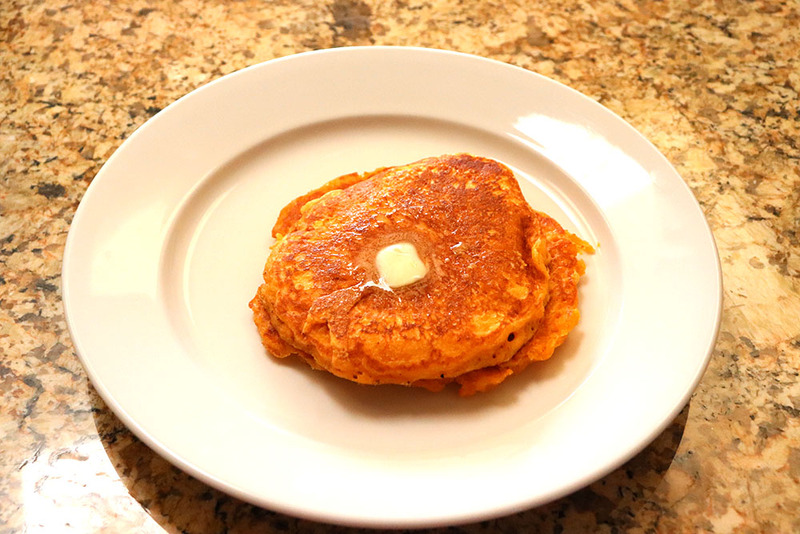 combine buttermilk, red chile, butter, and eggs and whisk until fully incorporated. Add wet ingredients to dry ingredients and stir until mixed. Heat oil, butter, or bacon grease in a skillet over medium heat. Add 1/4 cup of batter to the skillet and heat until golden brown on the bottom, then flip and cook until the other side is golden brown. I did try pairing this with maple syrup, and found I wasn’t wild about the combination. I would recommend starting off with just butter on top, and seeing how you like it. If you do try to add syrup, add it sparingly! Save this recipe to your favorite red chile board by simply clicking on the image below! 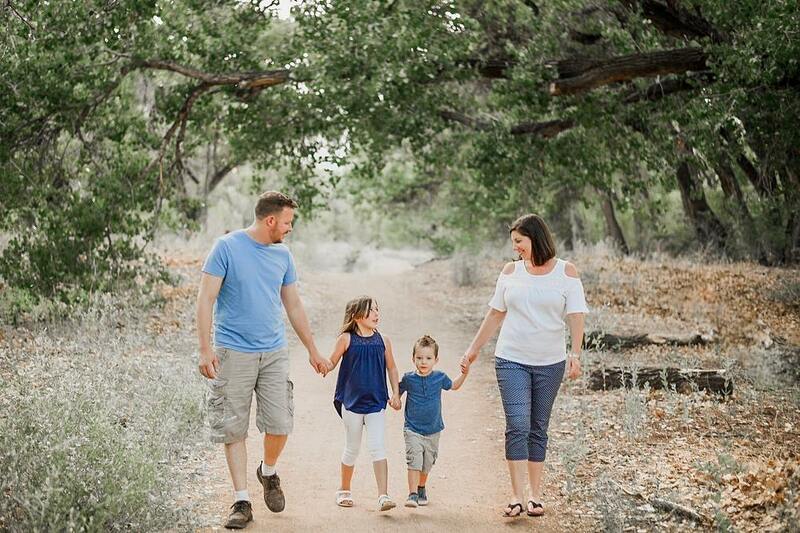 I’m a New Mexican native who loves all things NM (especially the food)! I visit all of the best New Mexican restaurants in the state and recreate their best dishes — sharing the recipes here!